The Lancaster election is a month away, and election politics are heating up again locally. What’s that you say? You don’t really care all that much about local politics!? If so, this column is for you, and that rapping sound you hear is opportunity knocking. Imagine an election where you – just YOU, cherished reader – are the only person participating. Your vote – your single, solitary ballot – is the only one that counts. By casting it, you decide the outcome of the election, resolve all issues and determine the future path of your community. We ask you to imagine this to illustrate the power individual voters have when only a very few people cast votes. And while the “one vote” scenario described above is clearly an exaggeration, it’s not as much of a stretch as it might seem. Wanna know a secret that the local powers-that-be don’t want you to know? Eligible voters in Lancaster have far more power than they realize. In fact, any small, well-organized group of citizens could easily win the two council seats available in Lancaster next month. So how small a group is “relatively small?” That’s a very good question! The numbers are revealing, and intriguing. Lancaster will select two city council members from a field of nine in the General Municipal Election on Tuesday, April 8. A single vote won’t determine the winners, but if voter turnout is similar to what we saw in 2010, it’ll be closer to that single vote than you might think. Of Lancaster’s 157,000 residents, roughly 60,000 are registered voters. That’s a lot of potential voters, sure, but they don’t actually vote. In 2010, just 13,187 people voted – a 21.2% turnout – just one out of five! There were five candidates vying for the mayor’s job that year. Split 13,000 votes five ways and suddenly we’ve reduced the equation down to the place where “opportunity” lives. Of course, we know that R. Rex Parris won that 2010 campaign. But he did it with just 7,458 votes, and his margin of victory over the next highest vote-getter (Arnie Rodio) was a slim 2,639 votes. The other candidates split the remaining vote three ways. If Parris’ opposition had voted as a block, his winning margin would have slipped to about 1,900 votes! Think about that for a moment. Would you like to be mayor of the largest city in the high desert? 2,000 votes’ll do it! Muster 3% support out of a pool of 60,000 eligible voters and it’s yours for the taking! Three percent! Who says individual votes don’t count? In 2010, six city council candidates split the vote for two available seats. It broke down like this: Ron Smith and Marvin E. Crist won election, with 6,348 and 5,946 votes, respectively. Johnathon Ervin came in a close third with 4,045. Again, just 1,900 votes determined the winner. And here’s a remarkable thing. The three other candidates in that race, Victoria Zavala, Michael Rives and David Abber drew 6,342 votes collectively. If any of those three had dropped out and thrown their support to Ervin, we would have a very different council today. You’re either a participant or a spectator. And if you choose to remain on the sidelines, you surrender your right to complain about what comes next. The last day to register to vote in the Lancaster election is March 24. 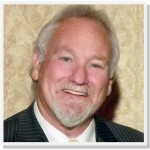 T. E. Barkas is a professional writer, reporter, columnist and longtime resident of the Antelope Valley. 70 comments for "Why you should vote on April 8"
Does anyone wonder why Lancaster and Copton are the only two cities in LA County whose “leaders” allow their City Clerk to count the votes? When the absentee ballots come in they are opened and the envelopes are discarded. Where are the ballots kept? In the care of the City Clerk who works for the city council. This and the fact the election was moved to April from November means the elections makes this article entitled “Why You Should Vote on April 8” seem ambitious at best. There is Very Little coverage of this election so far in AV Press or here. Where are these candidates appearing? Why aren’t there more forums, announced to public in advance? Well, the election is in April instead of November to ensure low voter turnout which helps the incumbants. So, I guess a small amount of news coverage helps them as well. A lot of people commute and get home late so they probably don’t keep up with everything. I’ve heard that Rex has the council meetings start early to keep the turnout low for them too. Yeah, he’s a real piece of work, that Rex. Odd huh? No signs, no banners, no mailers, no meet and greets. We moved last June. Notified the DMV and such that we were at a new address. The other resident in my house received their voter catalog, I’ve yet to see mine. Whats up with that? I’m not above thinking I didn’t receive mine due to affiliation with people who aren’t friendly with the current establishment, and I’ve been vocal before. Wheres my catalog? I won’t be deprived of my vote. I haven’t received my sample ballot either. And I haven’t seen a whole lot of signs or flyers or anything. The only thing I’ve seen is an advertisement for Marvin Crist on an electronic billboard. I have received my sample ballot and enough ads to choke my shredder, I have already voted. I love vote by mail. How does Parris have any bearing on a corporate super market shutting stores down? Heres a clue, he doesnt. Just like he didnt have anything to do with Kmart or BofA closing, or shops on the Blvd closing down. If stores arent making any profit, they usually close their doors. Is Parris somehow forcing people to not go to these businesses? You might want to do a little research into the Industry Theater and why it closed down. Perhaps the owner should have followed the conditions of his permit and it would still be open. I need to stop drinking the koolaid? I cant stand Parris and think he needs to go but Im also not going to blame the guy for something that he had nothing to do with. I think what disturbs Lancaster residents is that while Parris is perpetually boasting of this and that, businesses have closed or moved due to various reasons. He needs to get real and ease up on the BS about how ‘fabulous’ everything is. This is especially true of the BLVD. With all the attention and money poured into the project, you’d think businesses would thrive on it more than anywhere in the Antelope Valley. There are old ‘mom and pop’ restaurants and stores all over Lancaster and the Valley that have been there for years. So, why would a decent place on the BLVD close in such a short time? I think part of the reason is that Rex has been bad for business on the BLVD in that he has a big mouth and people hesitate to support ‘his’ BLVD. Plus, the planning wasn’t too bright to begin with, especially the parking situation and the traffic design. It’a an odd mix of intimate little restaurants in one block and imposing and ugly gray government style structures such as the library, BeX, sheriff’s station and even LPAC. None of those are pedestrian friendly and so there isn’t much pedestrian traffic despite its attempts to be a place to stroll. Not quite. One of the nice features of the Antelope Valley is its spaciousness and ease of driving and parking. The BLVD has that tight, congested feel of Los Angeles without the abundant amenties and choices of LA. It has high density housing that was built practically up to the sidewalks on the side streets. It’s not convenient to get to or drive on. And, it’s Rex’s ‘baby’. I doubt if the BLVD brings in as much sales tax revenue as the same stretch of Avenue K from Sierra Highway to 10th Street West. I guess the BLVD is what’s called a ‘loss leader’. Has anyone reading this been to MOAH in the last 6 months……or ever. It always looks closed. And, everything Rex is involved is is tainted somehow, whether it’s the dust problems with the solar farms, ‘birth tourism’ at the hospital, and the excessive litigation. Does anyone really think Rex is a man of integrity? Or a guy who knows how to manipulate the rules for his and his buddies benefit? His ‘fancy, schmancy’ lawyer tricks might work in the courtroom but for 4 years, he’s been trying the same nonsense out in the open for all to see as mayor. Other than the ‘true believers’, the rest of the public has had it with him and his tools on the council. Since I no longer have my prescriptions at Burns, I no longer have a reason to go to Lancaster Blvd, I live 2 blocks away. There is nothing but my bank there and I go in the back entrance. You’re right about businesses not closing on account of Parris Jason. But he likes to take credit for everything good, most of what happens without him, so he can get dinged for the bad too. Most important thing to note is that companies who are thinking of expanding are Googling Lancaster in their research and it ain’t coming up roses. Rex and his current council are hurting our city. There has to be a reason why all the new stores go to Palmdale instead of Lancaster. Those companies aren’t stupid. Occasionally, I read comments here suggesting or wishing that this or that restaurant (usually a large popular franchise) would be great for the BLVD or in Lancaster. Besides Googling Lancaster and learning of all the litigation, a scout would just have to drive around both cities and he/she would naturally choose Palmdale over Lancaster. The only advantage Lancaster has for certain types of business is cheaper land values. And, the disparity between the 2 cities will continue and even grow worse for Lancaster, solar panels or not. Palmdale is the premier shopping, dining, entertainment, recreation destination in the Antelope Valley, day in, day out. It’s by ‘design’ and not to benefit a ‘good ol’ boys’ club. It’s pretty hopeless for Lancaster and Rex & Co. has made it even worse. It can’t catch up now. Barns, planes on a stick, forced paint schemes that suggest the southwest, strip malls of all sizes and nook centers (like the BLVD) that harken back to someones version of the good ol’ days… dear goodness, pick one. We look like the second hand store to Palmdale. I wish they would make Lancaster into 3-5 districts and give each area a ‘feel’. Then plan around the needs of the 4 areas over the next 20 years. solar sites. the BLVD. next, UFO landing sites? When I moved to Palmdale in the early 90s, I had to go to Lancaster for everything back then. Even then, I wondered what was with Lancaster. It looked like there was no rhyme or reason to the planning of the city. It seemed like things were done to benefit some fat cats who owned the ‘right’ properties. Everything was scattered around. There was no ‘there’ there. That was before I actually learned that everything was done to benefit the fat cats. Something about Lancaster reminds me of rearranging the deck chairs on the Titanic. What does this even have to do with the discussion? the lawsuits are just another example of how team rex is hurting the city. the city debt is huge and our bond rationgs are at junk bond status. we spend millions on lawsuits, millions on the eye in the sky, all for what? he is suing our two neighbor cities, he sued a business that up and left, he wants to bring in cheap labor from china and even set up a baby factory at the hospital. if this is the kind of leadership you want then by all means vote for rex’s yes men. if you want something better than kick em out. Very few citizens take action against the Lancaster city council because of fear of retaliation. Council members only care about their friends making money and damn the rest of us. If Rex cared about this city and its people he would have never sued starwood resorts and lost several hundred jobs here. He would look for American companies to relocate here that don’t have any threatening aspect about them to the aerospace/defense that byd has shown in their history. Lets face it aerospace/defense jobs will leave if that happens. Rex in the name of greed has destroyed what this valley is all about. And really what jobs have they brought to the city. BYD… Unknown. Last count 30 to 40 ( many underpaid ) City paying for 2nd building that had tax lean on it from rexall and gave to byd. Morton machine shop that relocated from Santa Clarita mostly transferring their existing jobs… and infrastructure for streets was provided by city for Rex’s buddy Frank. Amargosa creek covered over paid for by the city to the tune of 9 million for Rex’s buddy Frank… Not paid back. EYE in the SKY AKA WUSS ( walmart unmanned surveillance system ) at a cost of 10 million plus 90,000 a month for what… We never hear of it’s success stories. The few retail on the blvd by nature are just by nature low paying jobs. and how many stores have closed since the rebuild. many many. Oh and if you want that stupid fake ALADS that looks like a badge is a so called endorsement that is given out by Ron Smith just for your political mailers for the good old boys club. Just so you know the truth. I think I’m changing my mind about Marv Crist. At first I thought he was one of Rex’s minions, but it seems that he has set up a special “jobs” hotline to help those left unemployed by Rex Parris’ ouster of Starwood hotels employees as well as the other businesses Rex has destroyed. He has asked that his personal cell number be used, which is (661) 917-0126. Since he has created these thousands of jobs, it’s great to see that he’s really going the extra mile to connect the people of the Antelope Valley with those thousands of jobs that he brought into the valley. I think it would be great if everyone who calls him reports back to us, or maybe posts on Facebook, about all of the new jobs that they are taking. Maybe Marv Crist IS going to deliver on his promise! FINALLY a politician that actually delivers the jobs, not just talks about them. You go, Marv! Yeah, right. Just like the 17,000 job they promised a few years back. Headline story in the AV Press. Never happened. What a BS move by Marv. He’s nothing but a toadie for Rex. Sold whatever was left of his soul for Rex dollars. Time for him and Ron to go back to selling insurance and graphics. wanna know the real Marv? thanks Ginger,thought the site was down.doesn’t he sound like a responsible adult,SMH. Marv shuts it down near the election all the time. He can’t bear to read all the stuff people will write about him. All the truth like how he lost his security clearance and his wild days and how dense he really is. He is not a bright man. Half those businesses listed as closing, Rex had nothing to do with. Supermarkets closed because of a corporate decision. Kmart closed because noone went there. The Industry Theater closed because the guy who ran it pissed everyone off and noone wanted to deal with. BofA closed down because the jobs were redundant becuase if the economy. Rex also has nothing to do with businesses closing down on the Blvd. Businesses open and close all the time, somehow Rex is the cause of that? You bring up valid points about the eye in the sky and Amaragosa deals but alot of what you brought up has nothing to do with Rex and the comment about ALADS makes zero sense. Rex personally sued starwood. they left for kansas. what company in its right mind would want to come here? o we get byd a company that violates labor laws and pays engineers 14 bucks an hour. let’s not forget their history of battery pollution in china. the chinese must be thrilled to send it here. I know all of that, hence the valid points. Yet when he lists businesses closing and trying to insinuate its Parris’s fault it sort of takes away from those points. Jason The city spent $17,500 to 2 different law firms to shut down industry theater. I hardly call that business friendly. Population stays the same yet 3 stores close… I would say you need to stop drinking the Kool-aid. Could not say it better… we all know jobs are tight – but they are tighter here than in many other Southland areas. I love the way you think. Nothing unscrupulous is beyond Rex. Consider that if if Crist and Smith are re-elected with many minority candidates running, doesn’t that really put the lie to Rex’s expert who said that there was no polarization in Lancaster? Yeah, that there ‘expert’. Rex must think everyone in Lancaster is stupid like his council members. William, you and I think alike WAY too often….. I think it’s because we both see the obvious right in front of us. I don’t understand how anyone can look at Rex and Co. objectively and not see a corrupt power hungry bunch of people who use other people for their own benefit and glory…..or something like that. Of course, they don’t come out and say that. They know how to blow smoke up the skirts of their followers. A tip to help keep your cat from killing birds in the backyard is to put a bell on its collar that alerts the birds. However, the cat learns how to stalk so carefully that he/she doesn’t ring the bell. In the same way, Rex and Co., as well as other conservative politicians, learn how to speak their own ‘language’ so as not to ‘ring the bell’ while still catching the birds. Sometimes, Rex is so ‘stoopid’ he just says it outright and by now has zero credibility. If anyone, anyone at all, thinks that the reason that Rex opposed the Palmdale Power Plant was due to any safety or other stated concerns, they haven’t been paying attention. He supported it initially, he knew it was very clean but the REAL reason was to give Mayor Ledford a hard time, costing money and time wasted because Rex is a juvenile delinquent in a suit. He lost the power plant issue. He lost the ‘birth tourism’ issue. He didn’t get his way in the Palmdale election. BYD has its problems and the public doesn’t seem all that excited about 30-40 new jobs. He got bad press over the Starwoods move and his lawsuit. CAP’N LANCASTER has posted a lengthy list of ‘issues’ that Rex has instigated. Here’s hoping that his favorites for the council election lose big time. Then, we’ll see what a wuss he truly is when he’s lost total control of the council. Does anyone else think it is important to expose the false statement that Liza Rodriguez made to the AV Press when she stated her occupation as “listened nurse?” Don’t the voters have a right to know? First off, nurses are one of the most trusted professions and to have someone say they are a licensed nurse, when they are not, is a slap in the face for the entire profession! It is an indication of a lack of integrity and I am sure this lie is just one of many…..what is the motivation behind this lie… The fact that she was not at the first debate is a huge red flag and voters need to be informed about the character of candidates…..I agree with you Diane! Were you at the first debate? I was…..I would like to meet you…. I have seen some of their flyers, if they want to improve education why aren’t they running for their school board instead of City Council? Some have no clue! There are many ways to improve education, and it requires partnerships between the city and the industry. Have you been to some of the debates? We need to think outside the box. I guess everyone here is so obsessed with Rex that they are not paying much attention to the other candidates. As a Lancaster resident and a faithful voter, I am very concerned about a candidate outright LYING about her occupation. Liza Rodriguez needs to be called out on this! Is she one of Rex’s lapdogs? She is the only female on the ballot and that makes her a pretty good candidate. Why NO outrage here???? I would bet someone at the city encouraged some of these candidates to run even if they are no where qualified…can you say “manipulate”? 2. What other candidate/s they support beside themselves? I, too, have volunteered for S.A.R.S. a few years back. It is now known as the Forensics Unit. A very good friend is the director of the Forensic Unit and had brought that program from the bottom up. It is the best program out here. I have not heard of the Liza Rodriguez, but maybe she is part of Valley Oasis who took over the counseling services when AV cut the funding. SARS is not the same as the Forensic Services Unit. SARS is part of Valley Oasis. The Forensic Unit is part of Antelope Valley Hospital. Melissa~I checked with Craig Currier the reporter who wrote the article for the Valley Press. He confirmed that Ms. Liza Rodriguez did state that she was an LVN. Upon further research, I discovered that this is not true. It makes me wonder what else she is lying about? She is NOT a licensed nurse. If it is transparency you want, I would suggest you not vote for Liza Rodriguez. Makes me wonder what her motivation is??? I read in the AV press that Liza Rodriguez is a nurse? Is this accurate? Not everything we read is always true, however; whether she is a nurse, a doctor, or a teacher shouldn’t matter. As long she can represent the city of Lancaster as a council member is what we should be focusing on, instead of if she is a nurse or not. I don’t know her personally but I’ve seen her at many community events and what I see and hear, I think she can represent our city well. Duh! If she’s misrepresenting herself, she has no business in any leadership role. Looks like Liza passed the first test to being a politician. Does she support the ‘Rex’? You just never know who is running just to dilute the field of non-incumbants. The greater number of candidates, the better for the incumbants AND Rex. Does anyone think Rex doesn’t play games at election time? In the 2010 election, if it had been Ervin and me against Crist and Smith only, we would have had a chance to win. Same story this year. The voters have a chance this year to correct the results of 2010 and stop the continued agony from the 2010 election. It is really simple, too, same-old, same-old or a real chance for good government. At any rate, everyone please vote your choice. We deserve more than a 11% turnout! Point taken, Mr. Rives. You might well have benefited from a smaller number of candidates last time around. But that’s a “what if” that is not relevant to the upcoming election, since the candidate group is actual quite a bit LARGER than last time. Splitting the vote among 9 candidates instead of five dilutes your support, of course. The only solution therefore is to somehow motivate a larger number of your supporters to get out and vote. I wish you luck with that. It’s an important goal. Voter apathy must be addressed. Voter turnout is an issue and chances are those are the only people targeted by the “potential front runners”. They will continue to only target that set of voter. I target everyone I meet in hopes they come out and vote. VOTE FOR ME it’s FREE. It’s silly to say, but it’s true! I have a feeling that if we do vote Rex’s buddies out of office, Rex will file suit to have the election counted as voter fraud or some such nonsense that he is known for. When do we vote him out of office? let him sue for voter fraud. finally some light will be shed on this darkness. vote out the paris yes men crist and smith. time to take away paris grip on the city. first his yes men then him. While I agree that turnout is way too low, having the election in November will not change the turnout. Palmdale’s elections are held in November and their turnout is just as low as Lancaster. The “voter turnout” story is much the same in Palmdale. The total number of registered voters is somewhat higher there than in Lancaster at 68,688. But the total number of votes cast last November was actually smaller! Fewer than 15% of voters cast just 9,909 in Palmdale last year. That’s why Mayor James Ledford needed only 5,935 votes to win re-election. His closest rival, political newcomer Lynn Minidis, did surprisingly well against the well-entrenched incumbent, garnering 2,052 votes. The other two candidates shared an additional 1,409 votes. It’s worth speculating what a candidate with a stronger, better organized support base might have done. Just 4,000 additional votes would be enough to win control of Palmdale. And if that still seems too ambitious and out of reach, how about 500? An additional 500 votes is all candidate Richard Loa (3,881 votes) would have needed in Palmdale to claim a council seat over Fred Thompson (4,360). In my view, the CVRA argument is a red herring! Margins of victory this small are a true opportunity for anyone with the passion and communication skills necessary to awaken and motivate the electorate. Hispanics; blacks; low-income whites; LGBT bike-riding quilters! Whoever! The first group to actually get motivated and organized is going to find that the local political process is theirs for the taking! 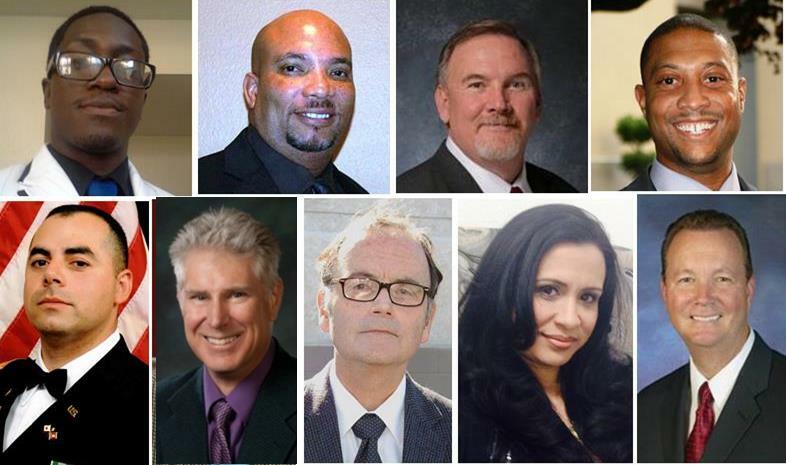 It just might be that Palmdale voters are very satisfied with Mayor Ledford. He’s not rich and doesn’t have a ‘machine’ like Rex does, so his election wins can be considered to be won honestly and because he’s a good mayor. I know that sounds weird here in the Antelope Valley with the ‘good ol’ boys’ in Lancaster and the Runners all these years. And Lancaster trying to influence Palmdale elections. With a few exceptions, I don’t hear complaints about Mayor Ledford to the extent that I hear them about Rex Parris. It would be awesome if Rex & Co.’s plan to have elections in April backfired on them by allowing voters in a low turnout election to have an even greater voice per vote. Go get ’em. Vote out Marv Crist and Ron Smith. Some new voices and better values will certainly shake up the city council. We’ll be able to hear what is really going on behind closed doors with some new council members. And, 2 new council members will put a shorter leash on Rex Parris. He really needs a choke chain, however. For Liza Rodriguez it states S.A.R.S. Director? Is that for Severe acute respiratory syndrome? I’m confused by that reference. Interestingly, Ms. Rodriguez’s name does not appear within either of these links, which may or may not be significant. This Liza stated in the AV Press that she was a licensed nurse, like she has also stated at fundraisers for this so called SARS (I heard her at Crazy Otto’s) and she is not a nurse….look at the state of California Licensed Vocational Nurse site….if she lied about that, what else will she lie about…. Get to know the candidates, do not accept liars! SARS is a program for helping victims of sexual assault. I don’t have all the details, its been quite a few years since I heard anything from them (they speak at the schools), but I know they are fairly involved in the Valley. Thanks for the information. Great program. I used to volunteer for SARS, it is not the great program it used to be!